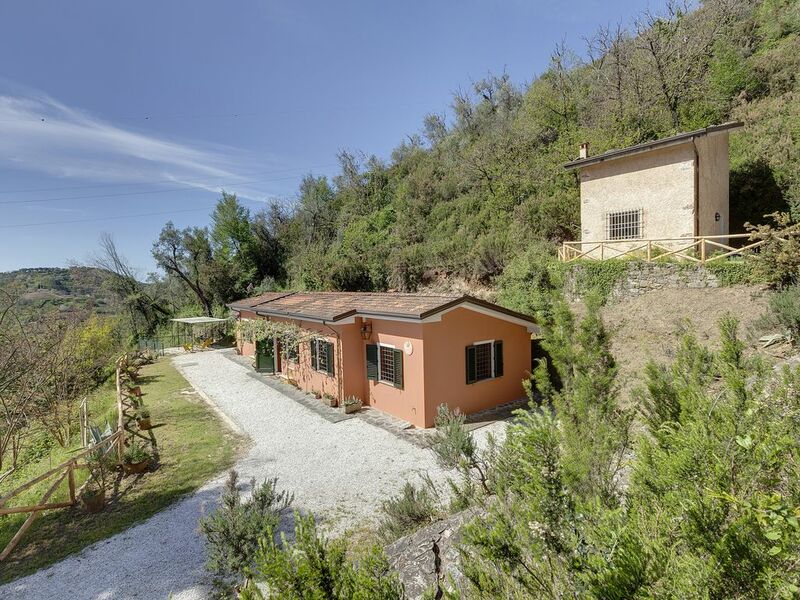 House in the Tuscan countryside, 3 mins far from Pietrasanta (wonderful city of art) and 10 mins far from the gorgeous beaches of the Versilia. - the little building, 20 meters far, is 50 sqm wide. - Bedroom 5: with bunk bed; this room, which has its own bathroom, is accessible only from outside (it is not internally connected to the rest of the house). The little building consists of a dining/living room, a kitchen, 1 bedroom with king bed and 1 bathroom with bathtub. The two buildings are rented together, as if a single house. There are three tables: two in the main building, which can seat 10-12 people; one in the little building, which can seat 4 people.